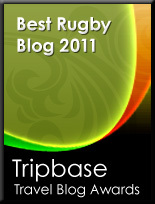 TOTAL FLANKER...a rugby blog: Should Rugby be quite so brutal? Both Joe Schmidt and Eddie Jones agree, the Six Nations is going to be "brutal". Schmidt is warning his players to brace themselves for a “brutal” encounter with England on 2nd February while Jones predicts his team will be "brutal" in their pursuit of the Six Nations title. 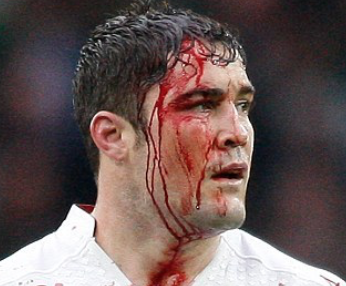 Brutality has become the watchword for rugby these days and it's all rather depressing. They could have use words such as "competitive" or "skilful" or "electrifying" - but no, "brutal" is the word of choice. It may just be a word or perhaps just a way of hyping up a big game, but the choice of language is important - after all, if I'm a parent of a young child, do I really want to introduce my offspring to a sport that is known for its brutality, a sport that has seen four young men die on the rugby pitch in the last 8 months? Because the sad fact is that the use of the word "brutal" is becoming more and more appropriate when describing the game of rugby. Across the game players continue to get bigger and stronger year on year, collisions get heavier and injuries get more frequent and more serious. And, unless this is addressed - either by changes to the laws or to coaching philosophy - it is only going to get worse. Those who have followed this blog for a little while will know that I am somewhat rugby-obsessed - I love what has always been a tough, physical game. It is, and always has been, a sport not for the fainthearted, but there will come a point when participation is just not worth the risk, and when the public vote with their feet. I'm not sure how close we are to that point, but rugby ignores the warning signs at its peril. I think the laws are already changing to reflect a growing awareness if safety issues. Players are now required to leave the field of play for head injury assessments and players have not been allowed for a number of years to challenge an opponent in the air. Rugby has always been a tough game and I would hate to see the game emasculated. I don't think brutality has ever been encouraged. The word "brutal" is used a lot but I think more as a figure of speech than literally but I agree that more appropriate language is to be preferred.The increasing size of players is leading to problems and I'm nit sure what the answer to this might be. One answer would be to reduce allowable replacements so that players have to play longer i.e. more than 50-60 minutes. Player size would need to reduce to enable them to compete for a 'full 80 mins'. Let's face it, we don't see backs getting swapped out 2/3 through a game unless they are playing poorly.